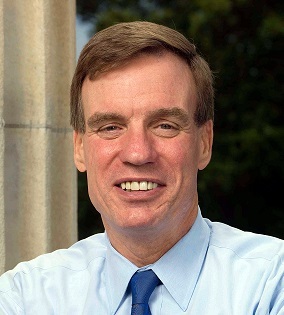 Tuesday, April 2 — Today U.S. Sen. Mark R. Warner (D-VA) joined Sens. Kirsten Gillibrand (D-NY), Chuck Grassley (R-IA) and a bipartisan coalition of Senators in reintroducing legislation to combat sexual assault on college and university campuses. The Campus Accountability and Safety Act would reform the way institutions handle incidents of on-campus sexual assault and ensure that investigations and disciplinary proceedings are fair and consistent. It would also create new resources and support services for survivors, and set new notification requirements for both survivors and accused students involved in the campus disciplinary process. Specifically, this legislation would do the following. Ensure minimum training standards for on-campus personnel: This legislation would ensure that everyone from the Sexual Assault Response Coordinators to those responsible for investigating and participating in disciplinary proceedings receives specialized training so that they have a firm understanding of the nature of these crimes and their effect on survivors.Create historic new transparency requirements: For the first time, students at every college and university in America would be surveyed about their experience with sexual violence to get an accurate picture of this problem. This new biennial survey would be standardized and confidential, with the results published online so that parents and high school students could make an informed choice when comparing universities. The Department of Education would also be required to publish the names of all schools with pending investigations, final resolutions, and voluntary resolution agreements related to Title IX with respect to sexual violence and requirements of the Clery Act. Tags: campus, college, Senate, Senator Warner, sexual assault, university, Virginia, Warner. Bookmark the permalink. Previous post ← Need experience and work product to show a potential employer? Get it at the Spartan Echo! We’re now accepting applications for fall positions.